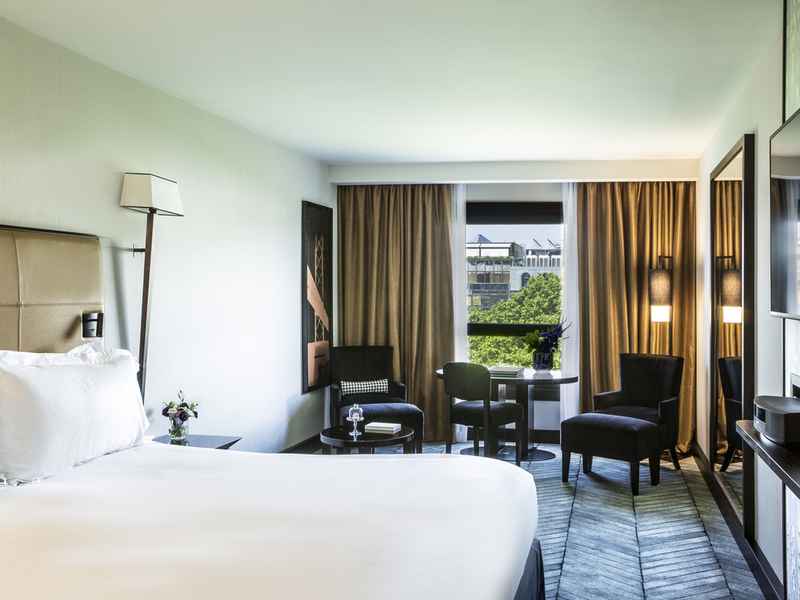 Step from central Lisbon's most prestigious avenue into Hotel Sofitel Lisbon Liberdade, a 5-star luxury Lisbon hotel which celebrates the French art de recevoir. Immersed in the culturally rich heart of the Portuguese capital, this luxury Lisbon hotel also celebrates the country's history through stylish décor. The red and gold tones contrast with marble sculptures, dark wood and shades of brown, which hark back to the discoveries made in Africa and the East during the Portuguese Renaissance. You don't just see Lisbon, you sense it - on the private terrace of luxurious suites, over a glass of Madeira in the cozy bar, in inspired meeting spaces whose high-tech facilities help you take pleasure in business. Life is Magnifique in Lisbon..
Sofitel provides a high-end service, along with exceptional features and decor. 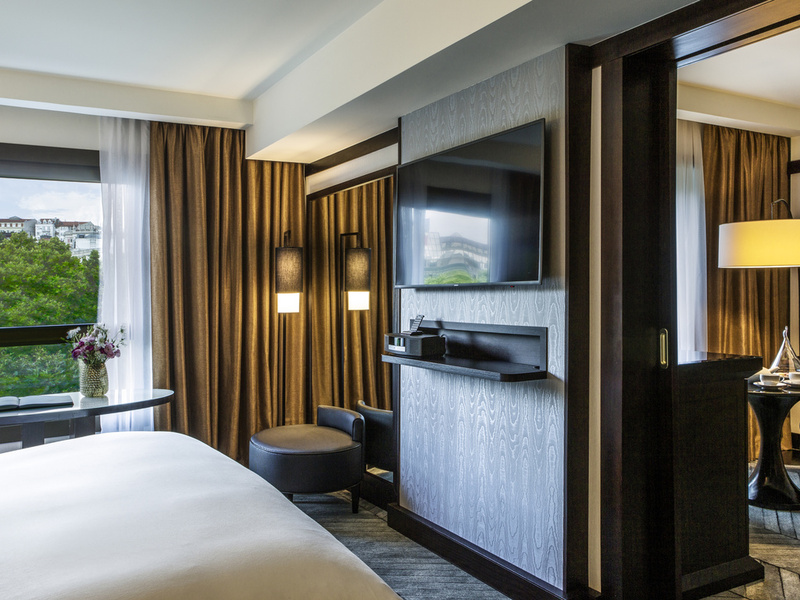 The hotel stands at the heart of Avenida da Liberdade, a prime location featuring stylish boutiques. 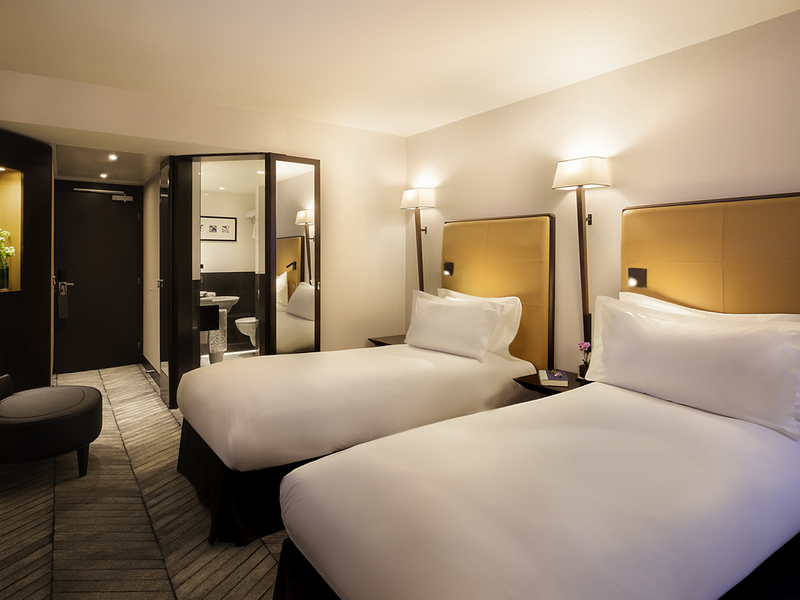 Featuring a King Size Bed, living room and sofa bed, the Junior Suites can accommodate up to four people. Sofitel hotels offer a unique blend of French art de vivre and local refinement. 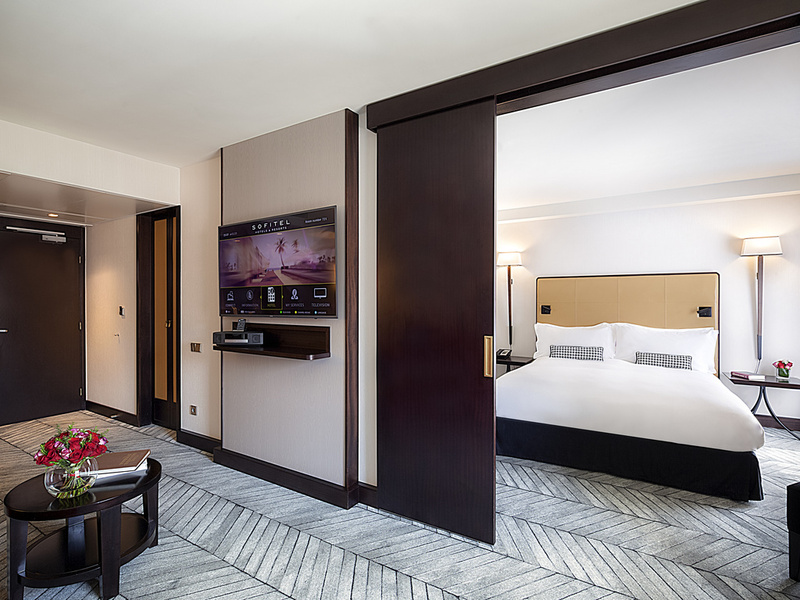 At the Sofitel Lisbon Liberdade, modern chic meets the exoticism of adventure and splendor of the golden age of the discoveries, on one of Lisbon's most prestigious avenues. Imagine yourself to sailing down the River Tagus, breathing the fresh air of freedom and arriving at Avenida da Liberdade, overflowing with French glamour. The hotel celebrates this nation of seafarers with epic tales and nods to the spice trade. The hotel's interior also pays homage to Renaissance style. The country's traditions and history are reflected in the rich selection of colors: the deep red of Port wine, the bright gold of the treasures won and the warm, dark wood of the Caravels. Always attentive and smart, our staff create a welcoming atmosphere by perfectly combining French refinement and Portuguese hospitality. The AdLib restaurant offers a unique blend of Portuguese and French cuisine. The lively Avenida da Liberdade is considered the heart of Lisbon. Take in the historic monuments, elegant architecture and sea views. After a day of shopping, relax in the beautiful and peaceful Botanical Garden. From the airport, take Al. das Comunidades towards P. do Aeroporto before turning right onto Av. do Brasil. Take the left at Campo Pequeno, then Av. da República, and right onto Av. Fontes P. de Melo. At Marques de Pombal, take the left onto Av. da Liberdade. 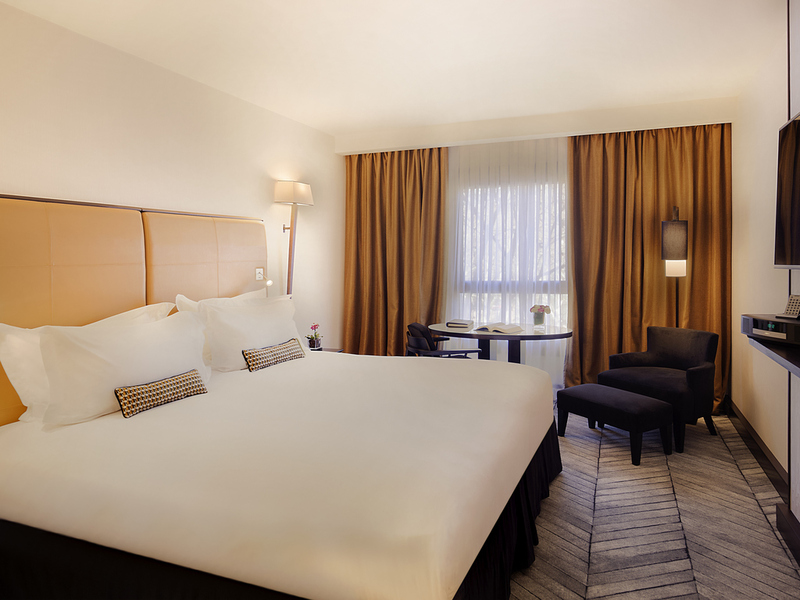 Designed for comfort, our Lisbon luxury hotel accommodations are elegant and delightful. In-room features at this Portugal luxury hotel include LCD television, WiFi, mini-bars, fresh flowers, and down comforters - for a feeling of pure "Bien-Être." 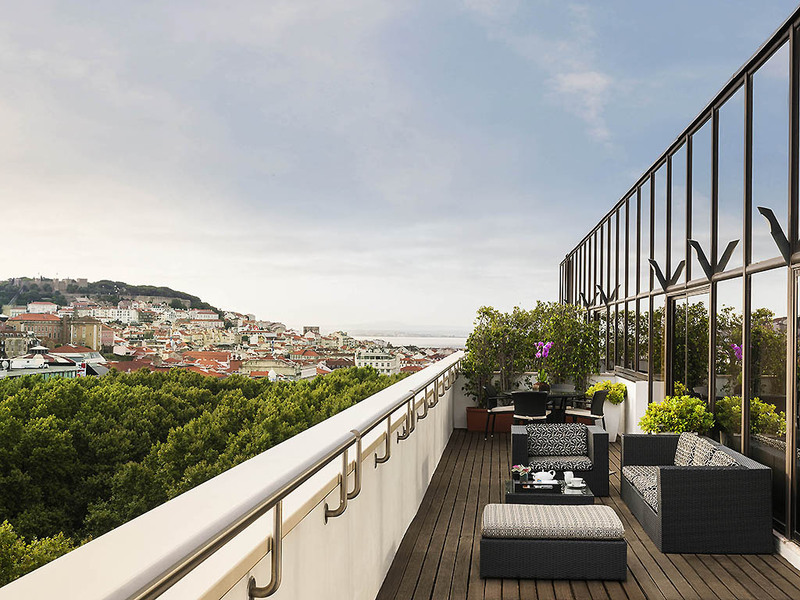 Step onto the terrace of your central Lisbon hotel suite to bright lights on Avenida da Liberdade. Warm colors, pampering Hermès lotions; the scent of fresh flowers; crystal clear sound from a Bose music system... experience luxury Lisbon accommodation. 269 sq. ft. (25 m²) with MyBed, complimentary WIFI, LCD TV, Bose sound system, minibar, mineral water, kettle, Illy espresso coffee machine, shower and Lanvin toiletries. 323 sq. ft. (28 m²) with MyBed, complimentary WIFI, LCD TV, Bose sound system, minibar, mineral water, kettle, Illy espresso coffee machine, shower and Hermès toiletries with the option of 1 Additional Bed. 323 sq. ft. (28 m²) with MyBed, complimentary WIFI, LCD TV, Bose sound system, minibar, mineral water, kettle, Illy espresso coffee machine, shower and Hermès toiletries. 452 sq. ft. (42 m²) with MyBed, lounge, Sofa Bed, complimentary WIFI, LCD TV, Bose sound system, minibar, mineral water, kettle, Nespresso coffee machine, shower, bathtub and Hermès amenities. 474 sq. ft. (44 m²) with MyBed, lounge, complimentary WIFI, LCD TV, Bose sound system, minibar, mineral water, kettle, Nespresso coffee machine, shower, bathtub and Hermès amenities. 829 sq. ft. (77 m²) with MyBed, lounge, complimentary WIFI, LCD TV, Bose sound system, shower and bathtub, minibar, mineral water, kettle, Nespresso coffee machine, Hermès amenities. Complimentary transfer from the hotel to the airport and vice versa. If you would like to enjoy a meal your room, why not try our tempting room service menu? Sample local and international specialities 24 hours a day, served by a discreet and attentive team. Frequented by guests and locals, our chic Lisbon restaurant, AdLib, blends Portuguese flavors with French cuisine and the rituals of bread, wine and cheese. The decor is sophisticated, the wine list extensive and there is live music on Saturdays. Shades of deep brown accented with bold red and gold make our Lisbon bar shimmer. Specialty Portuguese drinks, daily newspapers, a library and expert advice from our sommelier create a cozy, personal feel for morning coffee or a pre-dinner aperitif. With port wine, a library and oriental decor... a spirit of discovery washes over the bar. The terrace on Avenida da Liberdade is the perfect setting to eat and drink, and to see and be seen. The modern, intuitive cuisine on offer at AdLib combines both French and Portuguese gastronomic traditions. Step from Avenida da Liberdade into a sophisticated Lisbon restaurant where chef Daniel Schlaipfer adds a French twist to Portuguese dishes like Bacalhau à Lagareiro. Experience rituals of breads, Portuguese and international wines, cheeses and pastries. Sip bottle-aged Porto at our intimate Lisbon bar, lined with original Asian artworks and shelves of intriguing books. Sweet amarguinha almond liqueur is another Lisbon favorite, served perfectly chilled by our experienced bar staff and sommelier. 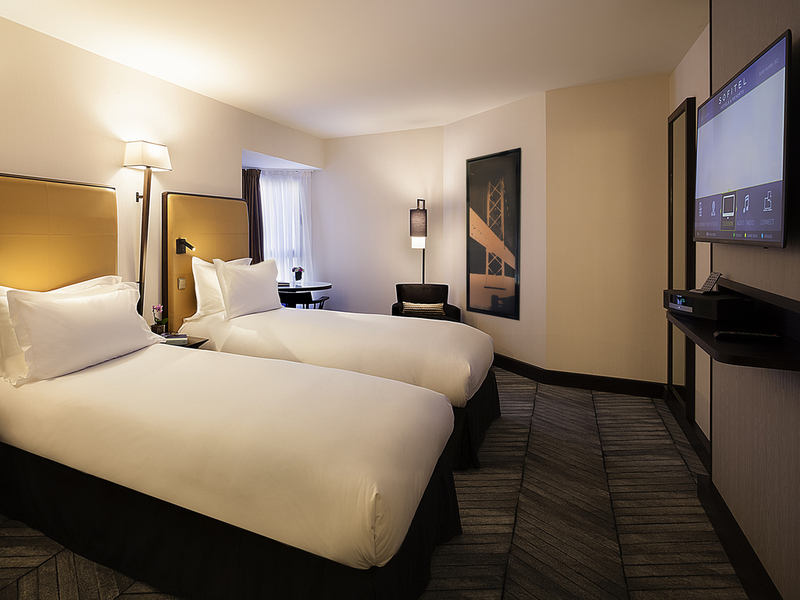 A Sofitel Ambassador will help you organize state-of-the-art audiovisual equipment and creative coffee breaks - perhaps fresh pastries or sweet Portuguese fios de ovos - along with group lunches in Le Jardin private dining room. It's not all business at this Lisbon hotel: we host Magnfique weddings and galas dinners with custom menus by our chef. Look out for ornamental roosters - a Portuguese symbol of good luck. Guests enjoy free Wi-Fi and a self-service business center. Work out day or night in our complimentary fitness room. Catch up on emails with free Wi-Fi, print your flight tickets at the self-service business center, take advantage of valet parking. Our Sofitel Ambassadors will gladly help you with anything else. Thanks to its central location on the prestigious Avenida da Liberdade in Lisbon, you can explore the vibrant Bairro Alto or the medieval alleyways of Alfama on foot. We can provide maps and advice on Lisbon's historical wonders and its quirky charms. Travel in style with our Mercedes limousine service including chauffeur, offered on a complimentary basis for guests staying in the Opera Suites. For more information and reservations, please contact Reception or Public Relations. A small range of Technogym fitness machines - exercise bike, treadmill and training bench - are available for guests in search of some more intense exercise during their stay at the Sofitel Lisbon Liberdade hotel.